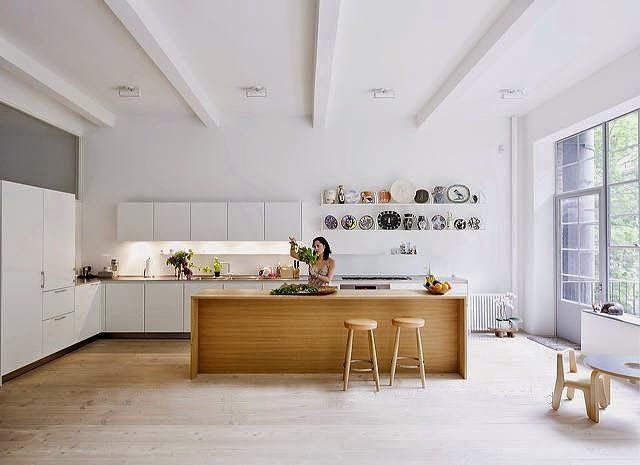 New York based architects Solveig Fernlund and Neil Logan designed this minimalist loft in lower Manhattan, featuring white surfaces, natural materials and oiled oak floors. A careful selection of furnishings adds an elegant, scandinavian feel to the industrial character of the renovated space. 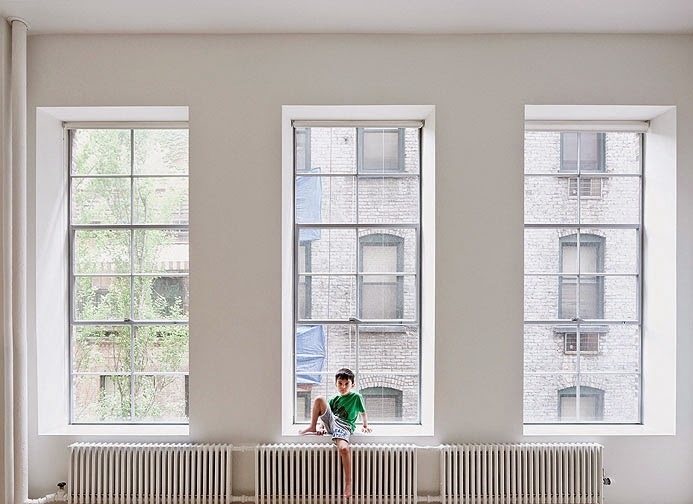 The owner of Supreme, a skateboard brand, bought a loft in lower Manhattan to make a home for his family with two young children. The space had been occupied by an artist couple for 30 years and was in dire need of repair and renovation. The biggest challenge was taking advantage of a wall of windows on a tree filled courtyard facing south. To make bedrooms without sacrificing light and space, a storage wall with a clear story of slightly reflective optical glass allows natural light to fill every part of the space. Douglas fir wide board flooring was installed to further emphasize a sense of lightness. The main room is left undivided and open with a kitchen occupying one end and the living area on the opposite side. 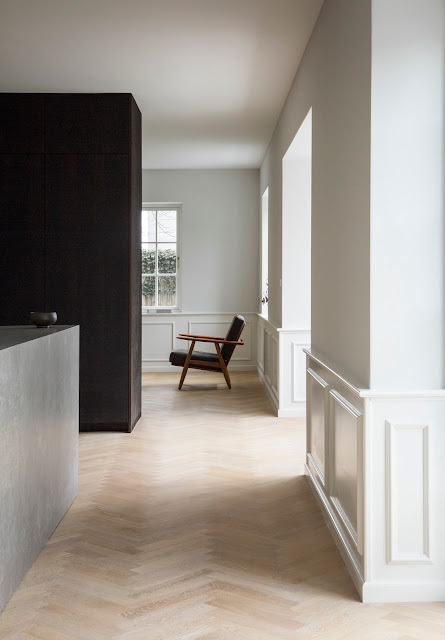 A large custom-made wood island make the transition between the two. The original industrial steel windows were replaced and a larger opening created to access a small terrace by the kitchen. 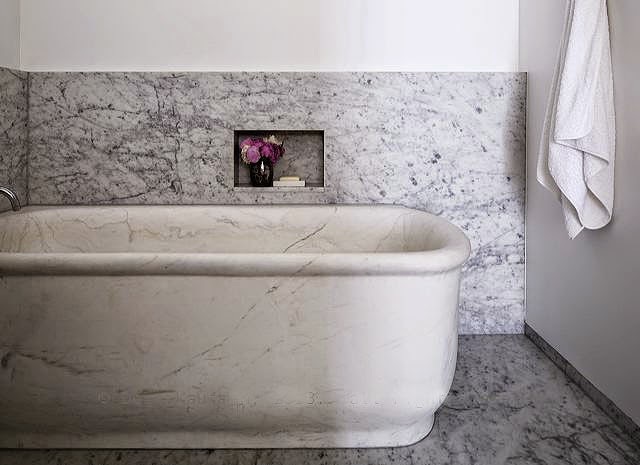 Natural materials were used through out with marble slabs in the bathrooms, the exposed ceiling structure and radiators bring back the feeling of a typical downtown loft.